28 Gram Silica Gel Packet (Tyvek®) is used to absorb moisture and prevent Mold, Mildew, Corrosion, and Fogging. 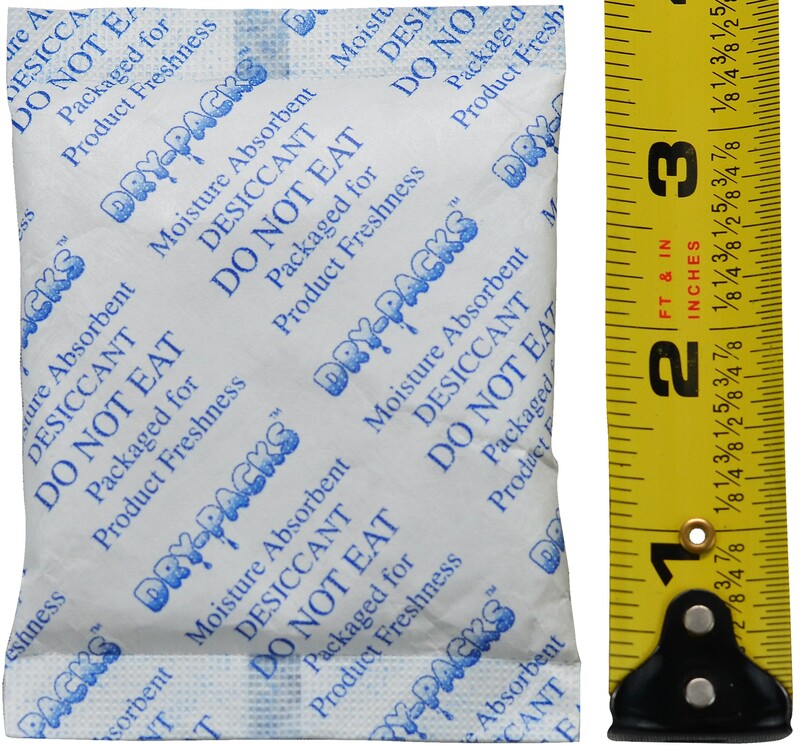 Silica Gel Desiccant 28 Gram Tyvek® Packet (1 Unit) - A unit of Silica Gel is a trade term equal to 28 grams and does not represent the number of packets you will receive. The 28 gram silica gel packets weigh 28 grams. Dimensions are 3 1/2" x 2 3/4" in width. USES OF PRODUCT: Dry Food Packaging, Seeds, Shoes, Cameras, Underwater Housings, Security Camera Housings, Tool Boxes, Electronics, Cell Phones, iPod, Razor Blades, Hearing Aids, Travel Bags, Purses, Industrial Equipment, Shipping Cartons, Etc.